September 1 marks the beginning of our field season each year. 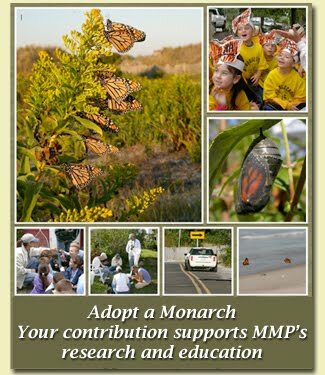 Our team will conduct the season's first three censuses today, they'll begin tagging monarchs, and they'll begin to assess conditions in the gardens in and around Cape May Point. We have been seeing fairly good numbers of monarchs all around Cape May recently. In late August we see a mix of the year's first Mexico-bound migrants along with butterflies who are parenting that generation. Anecdotal reports from the midwest to New England suggest that this could be a very good year for monarch migration. Does this mean the numbers will be big in Cape May? All we can say is maybe. What we can say for sure is that our team will be out there every day, counting and observing, and we will report back to our followers about how the season is progressing.